In honour of Remembrance Day, this November 11th, I thought it would be fitting if I shared 3 ways that we can truly honour the sacrifices made by so many for us to enjoy our freedom. The great thing is they are not limited to one special day but that we can carry out throughout the year. These three things are part of living an authentic life and enjoying the freedoms we have because so many sacrificed. Included with each suggestion is an action step that you can use to practice these lessons in your life. 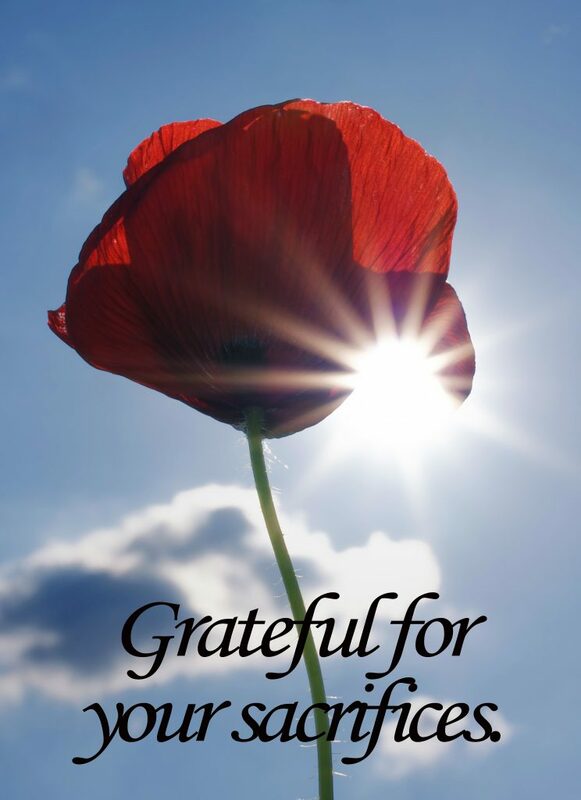 Be grateful – Others sacrificed for all that we have. Gratitude is not limited to only the good times. 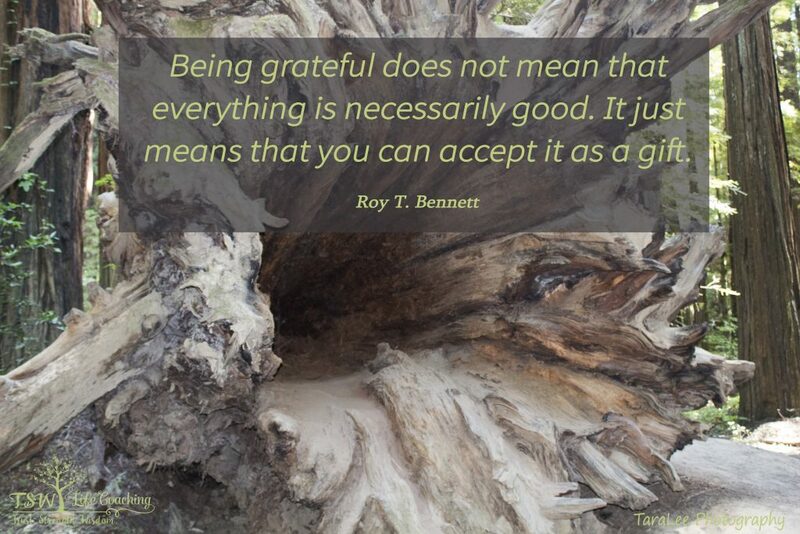 It is also recognizing that no matter how life is going at the moment, there is always something to be grateful for. I think this is especially true where we live. There are so many freedoms that we have, and so many amazing people on this planet that are doing spectacular things that there is always something to be grateful for. As I have previously mentioned, I think that we focus too often on the negative aspects of both our lives and what’s going on in the world. When we talk about the atrocities, we feed the fear monster with stories of the anger, hatred and suffering going on in the world. 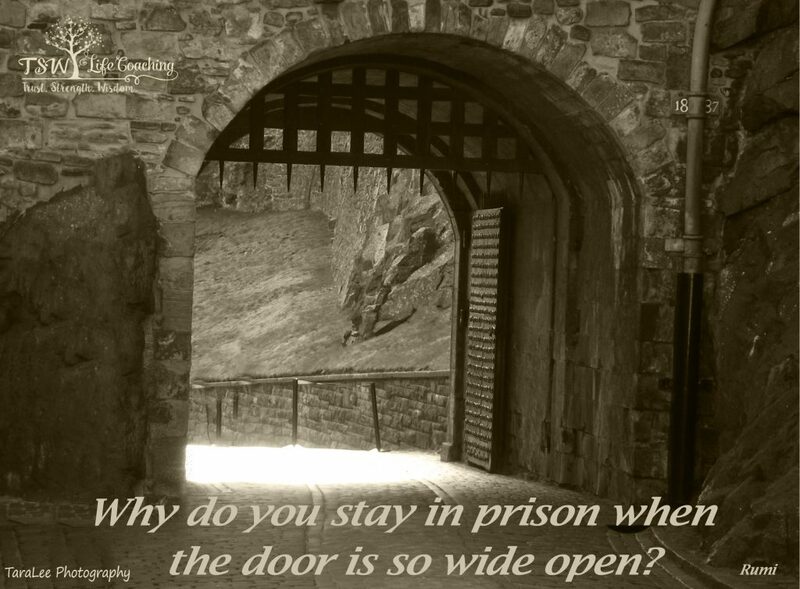 Some of us even focus on the negative in our lives and spend most of our time dwelling in this dark places. This is not living a grateful life. This is living a life that perpetuates the belief that we live in an unsafe, scary, nasty world. Being grateful does not mean that we only focus on the positive or bury our heads in the sand. What it does mean is making a conscious effort to recognize what we have to be grateful for and there is a lot of it! 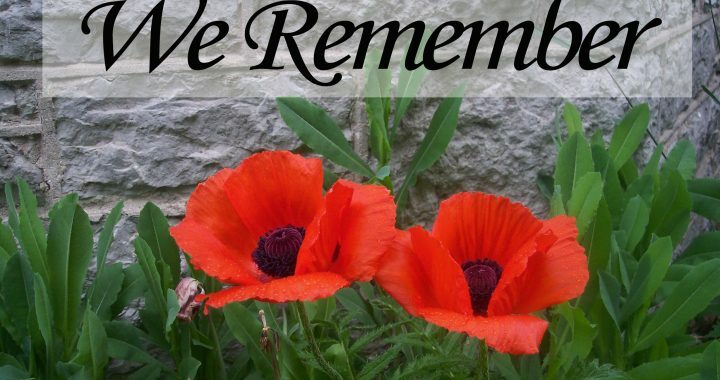 This Remembrance Day, be grateful for all that you have and all that you are able to do. Try making this a day where you will openly express your gratitude for all the things you enjoy in your life. Tell your family why you are grateful for them, tell strangers who hold the door for you that you are grateful, tell that friend who always supports you, you are grateful. Whatever it is share your gratitude today … out loud! Enjoy your freedom – become really free! Freedom is an interesting word… we say that we are free, but I think a lot of us do not actually feel free. We are bogged down by obligations, by commitments, by beliefs about how we should live our lives and we feel that we “have” to do this and “have” to do that. This is not really the definition of freedom. For so many people, freedom is just a word that has no power in their lives. They work in jobs that are not satisfying, they settle for relationships that they are not happy in, they wake up in the morning going “Ugh, another day”. Does this sound free? It sure doesn’t to me. Freedom for me is having each and every moment to choose happiness, to choose a life that excites you, to choose to live authentically. How can we say that we are free when most decisions we make are guided by stories that we tell ourselves about what life “should” be, rather than what we desire? We live in a society that, in theory, allows us the freedom to live a good life, but then we restrain our choices because we fear the consequences of stepping out of our comfort zone. We feel we need to work our butts off to save for retirement so then we can enjoy freedom. We struggle in relationships so that we are not alone because alone is undesirable. We work in jobs that we hate so that we are being a good member of society. We put off vacations because we have too many obligations. We don’t take care of our mental and physical health needs because there is no time for that “stuff”. Does this sound like freedom? I get that there are things that must be done, but wouldn’t it be liberating if the have to’s were the rarity and want to’s were the rule? Today is a great day to start living your freedom! Take some time in self-reflection today and notice one thing in your life that you are feeling (“Ugh, I have to do this”), and either find something about that thing that you can love, or change it. Here is what I have committed to doing. I strongly dislike doing the dishes they are one of my “have” to’s and I try to avoid them like the plague! So my agreement in the name of freedom is this – I know the dishes need to get done so I can either replace them all with paper plates (not going to happen), so I have decided that I will make a “doing the dishes” playlist on my phone and choose songs that I love that I sing and dance to and that will make this mundane chore a little more exciting and fun! Your ‘change to freedom’ item can be simple like mine. Or perhaps it’s something bigger like looking for a new job that satisfies you. If that is not in the cards yet, maybe you could find a hobby that you love that makes your long days more bearable. Whatever it may be, choose something that you can do this weekend to honour those by living a truly free life! Promote kindness – Make our world a better place. When we get stuck in our lives, we often miss out on the opportunity to make our world a better place. Kindness is one thing that we are all capable of doing that makes our world a better place. There is a Random Acts of Kindness day where we practice doing a random act of kindness. I love this idea, but I say why not do it all the time? Imagine what our world would be like if everyone did at least one act of kindness a day! I know it sounds kind of love-in and hippie-like, but seriously, if we all practiced kindness on a daily or weekly basis we would feel better and others would benefit too! The idea behind a random act of kindness is that it is for no other reason than to be kind to another. You are not doing it for gratitude, for recognition or for reward, but simply to just share the kindness. Some of you may be thinking that you don’t have time for this, but that’s the thing, it doesn’t have to be some big grand gesture. It can be small and simple and fit into your daily routine. Like a pebble thrown in a pond, your act of kindness has ripple effects that reach far and wide in our communities and in our world. There are countless ways to show kindness, if you have other ideas please add them in the comments section; let’s get a good list going! So, while you are honouring and observing Remembrance Day/Veterans Day this Sunday keep these 3 things in mind: practice gratitude, enjoy your freedom and promote kindness. Let’s really honour our veterans and make our lives and our world a place that is truly living free and happy! Thank you to all of those who have sacrificed. I respect and honour your sacrifices and I am deeply grateful! Bravo Tara! Gratitude, kindness, freedom – 3 powerful words to live by. Thank you!